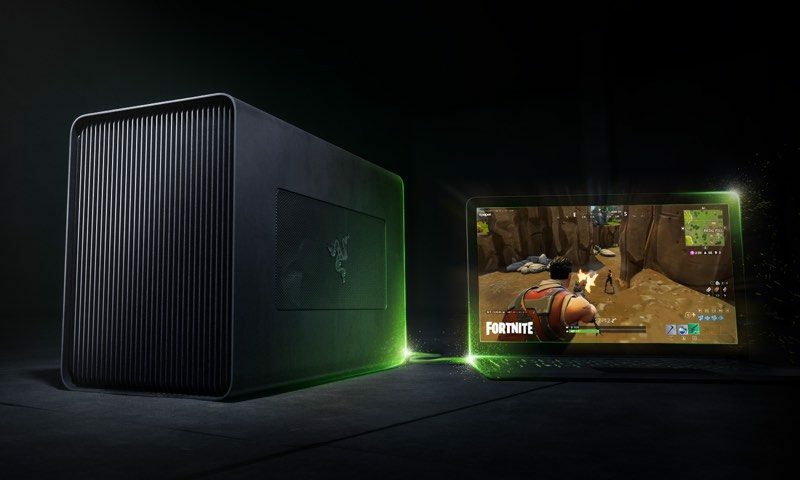 Razer has just unveiled its latest Thunderbolt 3 GPU – the Razer Core X. While earlier Razer Cores like the V2 provided mobile graphics performance with extra conveniences like USB and ethernet ports, it was pretty expensive at around USD $499. The Razer Core X on the other hand, promises to offer the same performance at a cheaper price. Good news Microsoft Fans – both 13 and 15 inch models of the Surface Book 2 will be coming to Singapore on 15 March, and pre-orders will be starting from today onwards (7 Feb) from the Microsoft Store, as well as authorised retailers. Microsoft has just announced in a pretty surprising move that their entire Surface line will be coming to Singapore very soon! While the company has previously only sold the Surface Pro line in Singapore, they’re bringing in the big guns this year – namely the Surface Book 2, Surface Laptop, Surface Studio and Surface Dial. Dell Updates XPS 13 for 2018 – Thinner, Better, Faster, Sleeker! Remember the really awesome Dell XPS 13 we reviewed last year? It proved to be one of the best Windows notebooks we’ve used to date, complete with a beautiful InfinityEdge thin bezel display and a compact form factor. To kick off this year strong, Dell’s taken all the best bits of the world famous 2-in-1 laptop and made everything better, faster and thinner. Meet the new Dell XPS, ready for 2018 and beyond! NVIDIA Titan V Launched – Next Gen 11-Series Cards Coming Soon? NVIDIA has just launched the Titan V, a consumer grade graphics card that is capable of delivering a whopping 110 teraflops of deep learning horsepower. Even though it looks like any other NVIDIA graphics card on the market, the special thing about the NVIDIA Titan V is its new internal architecture – Volta. Star Wars: The Last Jedi is coming up very soon and lots of brands are pushing their special Star Wars branded products onto the market. We’ve got stormtrooper vacuum robots by Samsung, Jedi shavers by Philips, and tons of other goodies – but the coolest thing this Star Wars season is Lenovo’s Star Wars: Jedi Challenges Mirage AR Headset and their Yoga 920 Special Edition Laptops! Alienware – Dell’s gaming sub-brand, unveiled a slew of gaming products at a launch at the revamped Dell Store at Plaza Singapura. Alienware deals with premium, super high performance gaming products and are well known for their excellent and expensive PC’s – but they’re gunning to release accessories too in 2017.